Christine is a novelist, screenwriter, short story writer, and playwright. 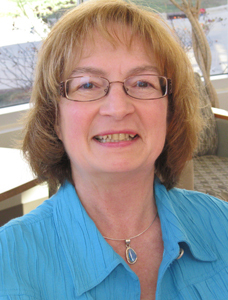 She is a member of Mystery Writers of America, Sisters in Crime, Romance Writers of America, and Jewels of the Quill. She is a past Golden Heart winner and finalist (three times) in the contests sponsored by RWA. Her romantic suspense novel, Spirit Lake, won RWA’s Golden Pen Contest before the book was published by Hard Shell Word Factory/Mundania Press. Christine also belongs to the Writers Guild of America. A screenplay written with Peggy Williams and Bob Shill, “Chinaware-Fragile,” earned first place in a Slamdance Film Festival writing contest and was optioned by New Line Cinema once upon a time. She has optioned other projects as well and continues to write scripts and stage plays. Christine was raised on a dairy and hog farm in Wisconsin where she learned the value and joy of hard work in the out-of-doors, then graduated valedictorian in a high school class of 29 students. She went on to get her academic degrees in journalism from UW-Madison.